The 2018 Smart City Summit & Expo (SCSE) is happening at the Taipei Nangang Exhibition Center from March 27 to March 30, 2018. This year, SCSE runs parallel with an exhibition by the Institute of Digital Education (ITG) of the Institute for Information Industry (III), which is themed around technology and industrial partnership. The main focus is on 'FuturE2D' smart education which analyzes the role of education in the development of society from the perspectives of the environment, talents, and opportunities. 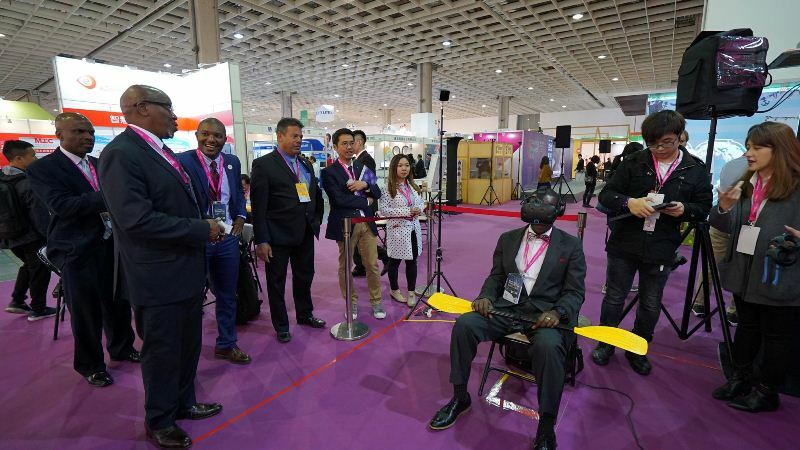 By using science and technology to address ten key educational issues and provide a blueprint for the deployment of smart cities in various countries, the exhibition enables visitors from other parts of the world to witness the rapid growth of smart education in Taiwan. The 'FuturE2D' smart education stage area consists of ten relevant educational issues, from basic education to advanced training, skills certifications to youth employment, and special education to lifelong learning for an aging society. Over 70 multidisciplinary education experts, comprising local and international organizations, companies, and individuals, share their thoughts, ideas and solutions on each educational issues through thematic roundtable sessions using the World Café approach. Also worth mentioning is the coffee aroma that permeates the exhibition area is courtesy of 'Agoood' a social innovation agency behind projects that are aimed at improving support for deaf children, while the delicious baked goods are hand-crafted by the students of Kanner's Autism Foundation. In fact, a number of these students began to immerse themselves in the science and technology curriculum early this year. VIPs and guests were also treated to a stunning projection mapping showcase that highlights the synergy of public welfare, technology, education, and arts. 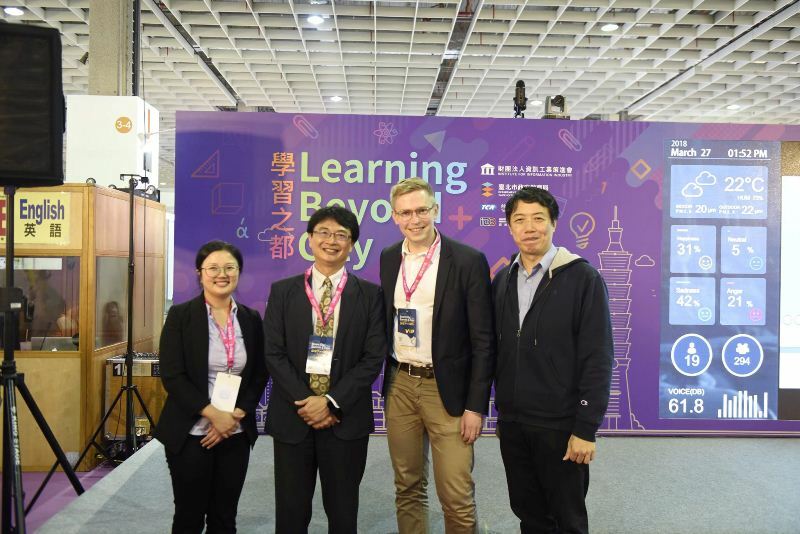 According to Dr. I-Chang, Tsai, Vice President and Director General of Digital Education Institute of Institute for Information industry (III), "I believe that only quality smart education can nurture quality talents to achieve the ideal smart city." Dr. H.A. Hanief Saha Ghafur, Chariman of Nahdlatul Ulama (NU), the largest Islamic organization in Indonesia, also recognizes the potential and sees education as the core component of smart cities, and today signed a Memorandum of Understanding with the Institute for Information Industry (III) to transform the learning model of Indonesian schools in the near future. With a focus of establishing an experience center in Indonesia, the move to accelerate the future of learning in Indonesia will pave the way for the country's vision for 2025. This is another example of how Taiwan's solution for future education is recognized at an international level. This year's exhibition presents various possibilities of educational technology. Notable highlights include a smart classroom by the Department of Education of Taipei City Government, demonstrations of 'COLMS' Cool Coin Learning Management System and 'Taipei e Cool Coin' mobile learning app by teachers and students from Nanhu Elementary School and Xihu Elementary School, as well as educational VR games that were developed by the Institute for Information Industry (III). 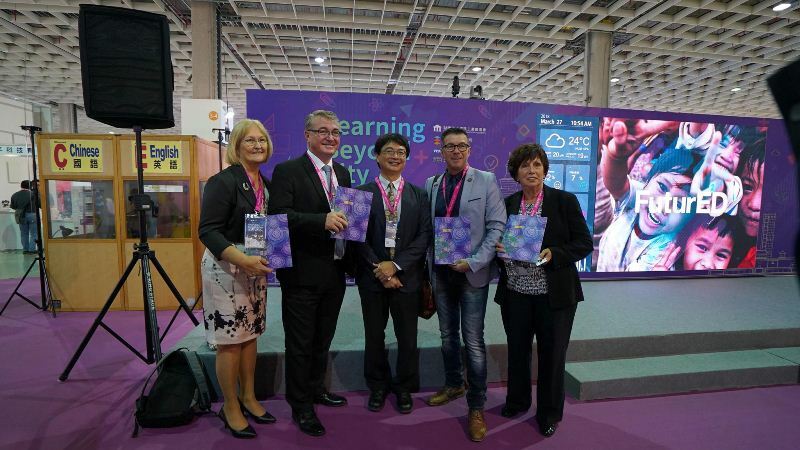 The flourishing development of smart education in Taiwan received a high degree of recognition from education experts around the world, including the U.S. and European countries (Finland, Poland, Peru), the Middle East (Jordan), and Asia (Japan, Indonesia, India, Malaysia, Vietnam, Nepal, Hong Kong, and Macao). "For the citizens of a smart city to thrive, we must first place education at its center, with innovative technology solutions readily available for everyone's benefit," added Dr. I-Chang, Tsai. "Learners, young and old can enjoy equal rights, equal educational opportunities, and help realize the potential of smart education and 'Learning Beyond City.'"